Richard Branson's advice to his younger self? This week, the guest curator for "The Big Idea" on the CNN MoneyStream app is Richard Branson. 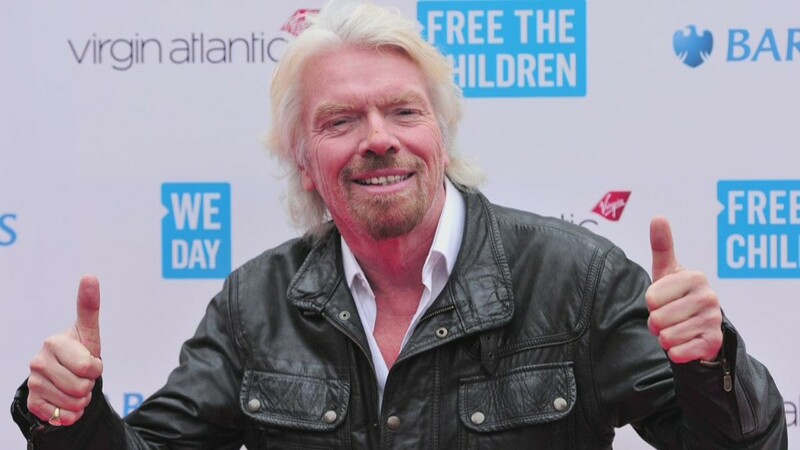 Sir Richard Branson began his career as an entrepreneur in 1972 with the launch of Virgin Records, a chain of record stores in the UK. The music label expanded through the 1980s, and in 1984, Branson created his own airline Virgin Atlantic. Today, the Virgin Group brand is made up of more than 60 companies. In 2004, Branson established the nonprofit foundation Virgin Unite to address social and environmental issues. He was knighted by Prince Charles in 2000 for his entrepreneurship. Branson is active on social media, especially Twitter, where he has built a following of more than 8 million users. He has also broken several world records. In 1987, he became the first to cross the Atlantic Ocean in a hot air balloon. "The Big Idea" lets you peek into the minds of leading people in business. Every day, you will see multiple stories appear in your stream that are hand-picked by the guest curator of the week. "The Big Idea" was curated last week by T-Mobile CEO John Legere. Reading this article on your Apple device, click here to download CNN MoneyStream. Or if you are on Android, download it here.